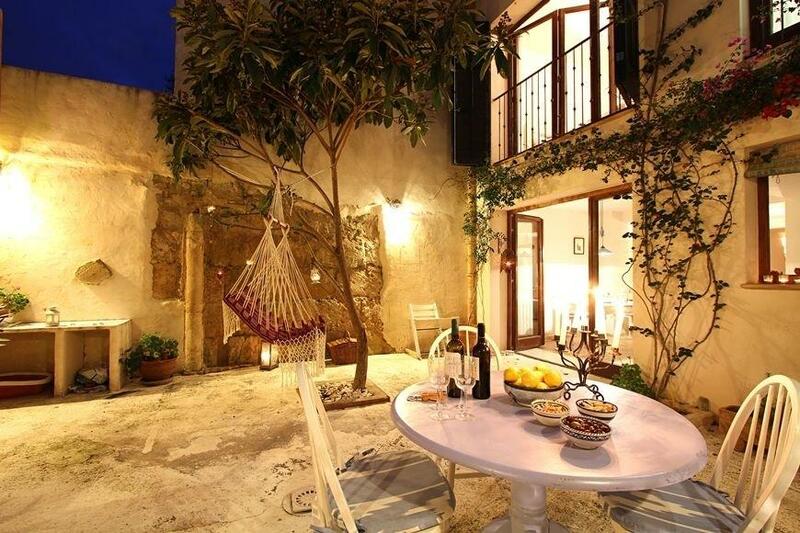 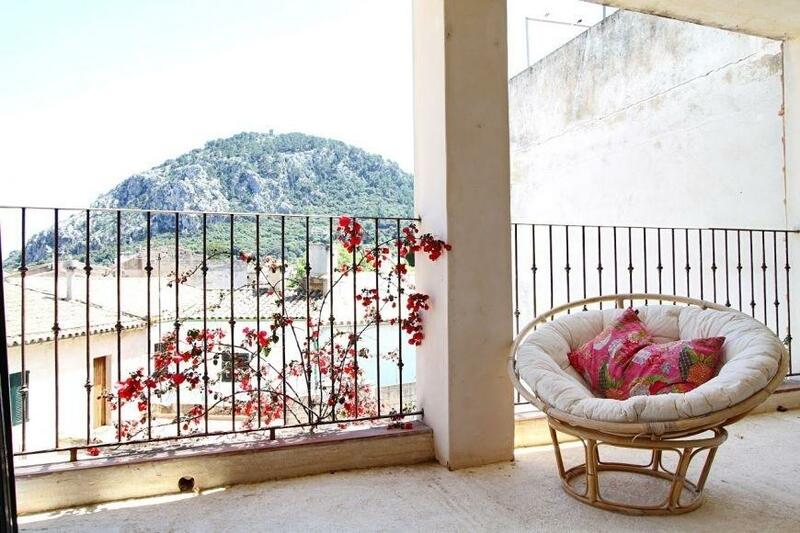 The island of Mallorca brings us this week, an authentic traditional architectonic house. 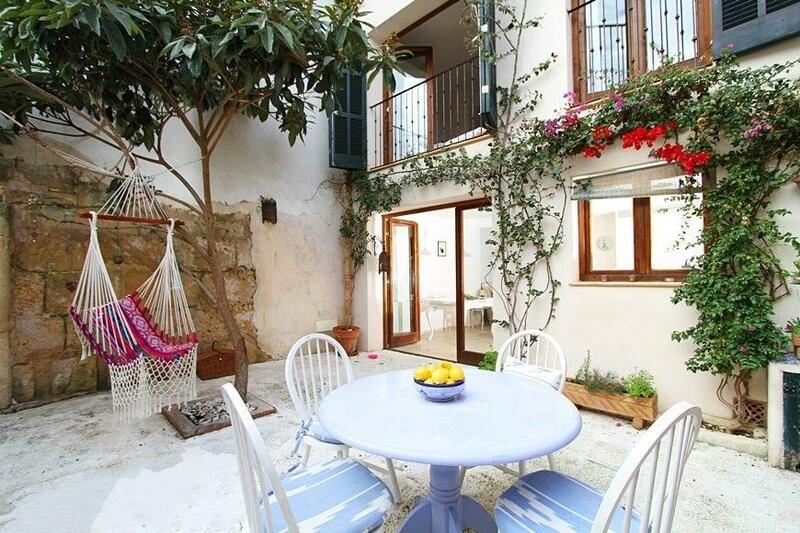 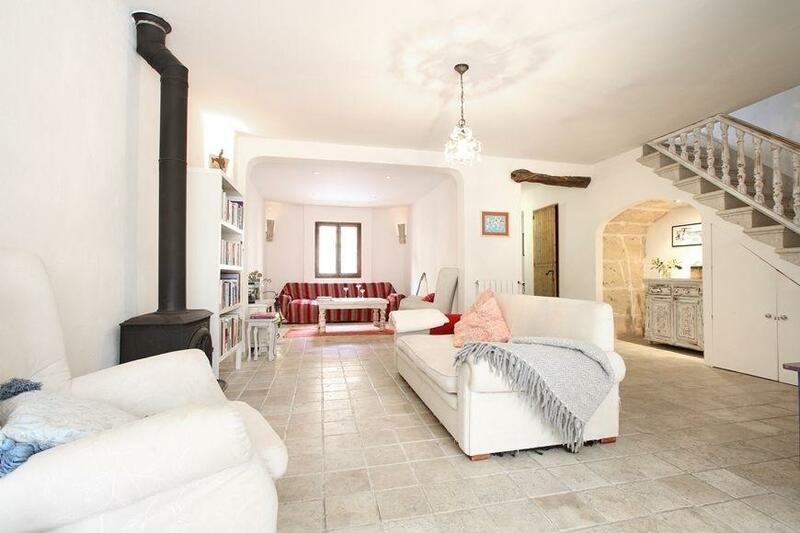 It's an old house completely renovated and decorated with the most traditional elements of the Mallorcan village, Pollença, a town known culturally and located north of the island. 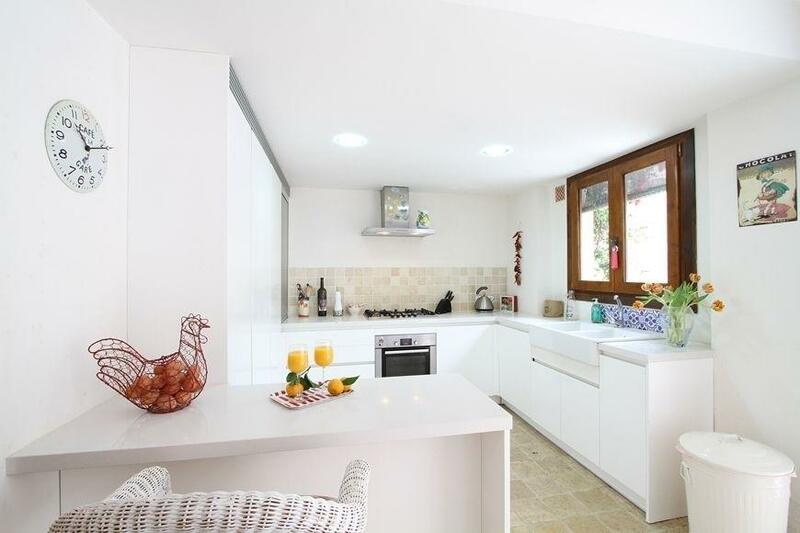 This villa of two floors has four bedrooms in total, a kitchen open to the dining room and a typical Mallorcan interior patio where you can enjoy a relaxing environment and the typical flowers of the island such as Plombago and Bourgavillea. 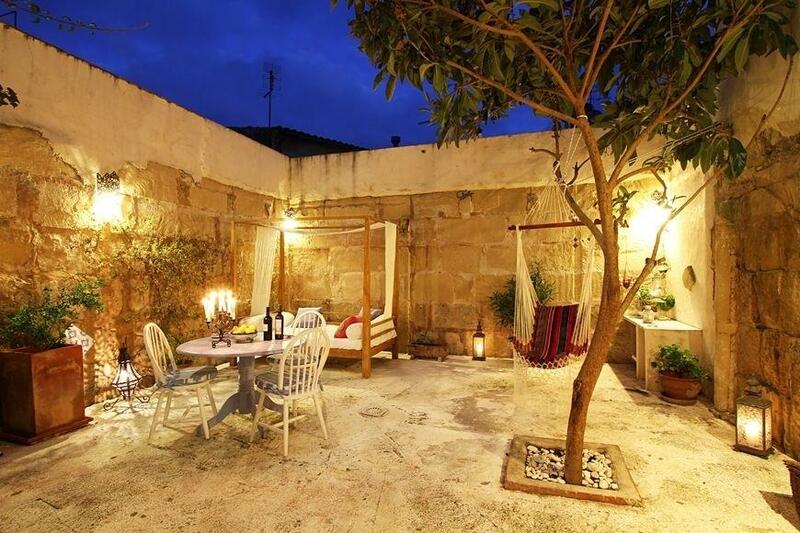 The false brick on the patio gives it a rustic appearance and accompanies the chill-out decoration that has a bed to relax with the Balearic climate. 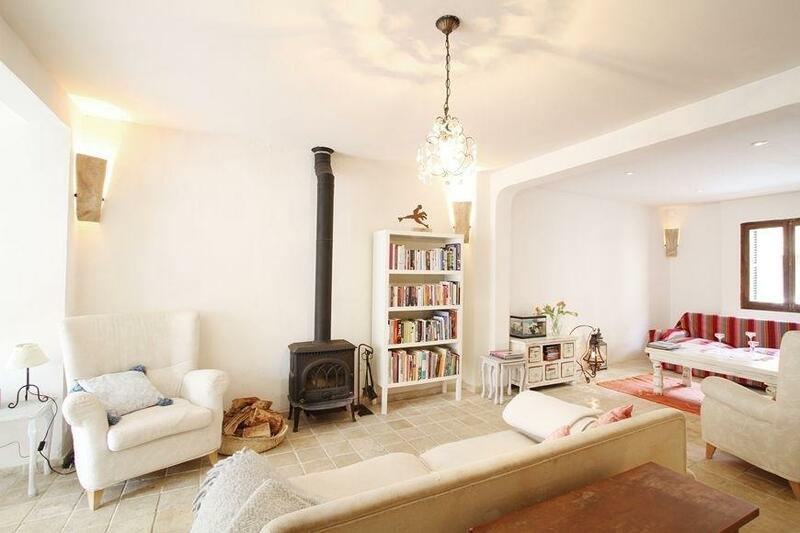 The main room has a wood stove for the coldest days, which also combines perfectly with the red and white crude color of the rest of the room. 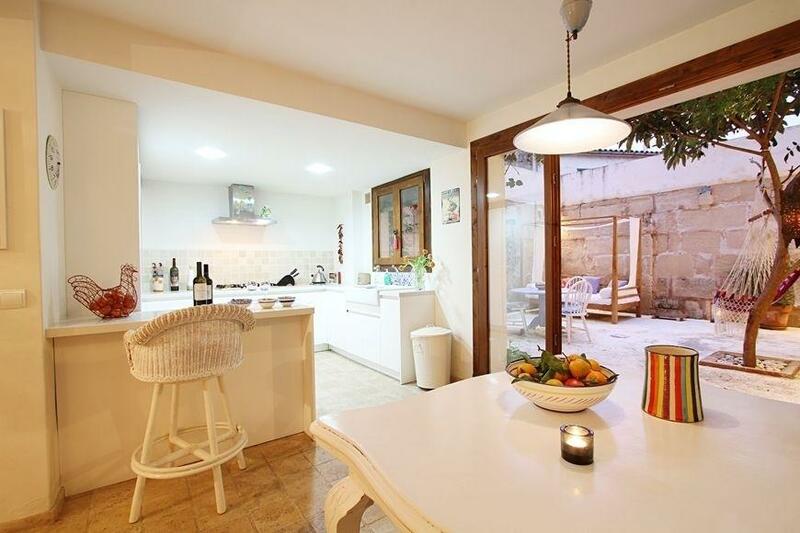 The kitchen contains the most current materials and is open to the large dining room of the house. 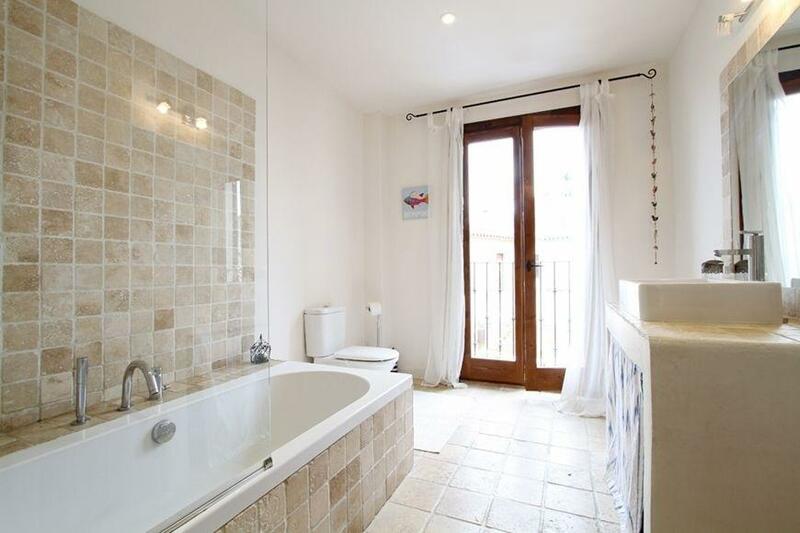 The first floor has three double bedrooms, the three bedrooms share a large bathroom that has a bath and shower. 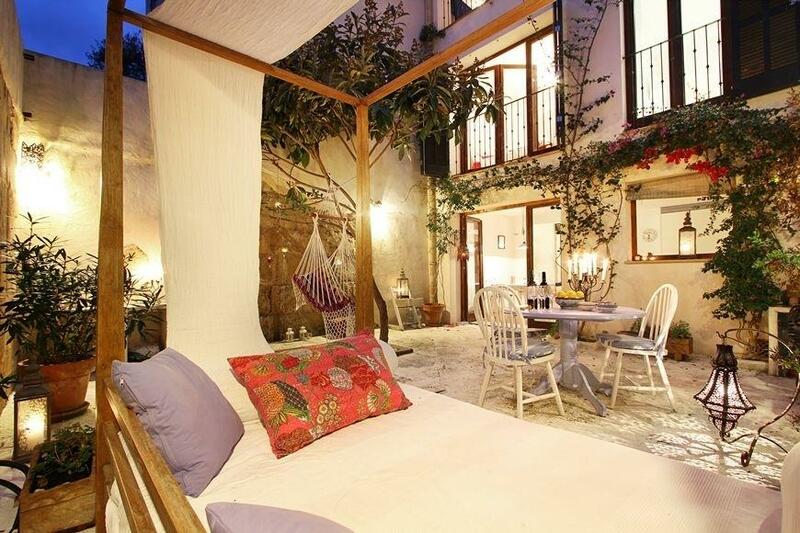 The upper floor has a double bedroom with air conditioning and a large bathroom with two sinks and a walk-in shower. 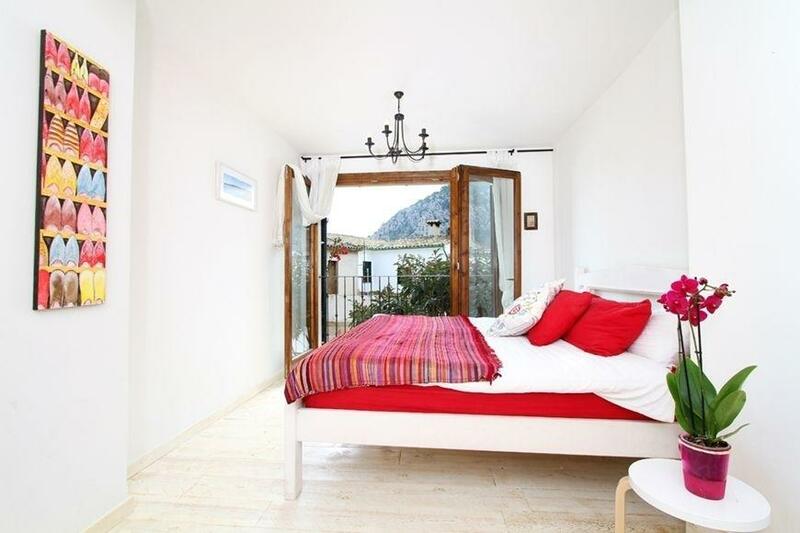 There is also a small room and a covered terrace with incredible views.